There’s a reason dentists ask their patients to go easy on sweets. When you consume foods and drinks high in sugar, bacteria in your mouth turns the sugar into acids that dissolve the enamel on your teeth. This, in turn, can cause cavities to form and require you to get fillings in your teeth to prevent further tooth decay. 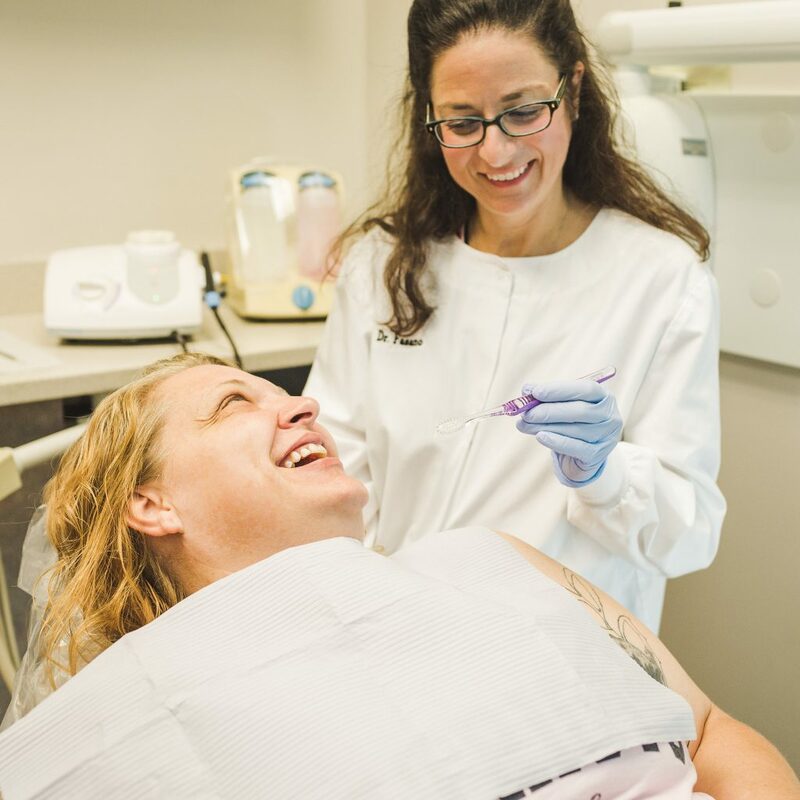 At Dr. Fasano’s dental practice in Virginia Beach, we enjoy seeing patients for their regular checkups, but when you come in with a toothache there’s a good chance you have a cavity. Dental fillings can help restore affected teeth to their original shape and look. Following your appointment, Dr. Fasano will advise you on the proper home care to prevent future fillings. If you are experiencing tooth pain and believe you need a filling, Dr. Fasano can examine your teeth to determine the treatment you need. Please contact our Virginia Beach dental office today or request an appointment online.